The Castle School of English | How to correct in English lessons. Skilful, patient, supportive and ideally light-hearted correction breathes life into a classroom. It draws learners’ awareness to the language and their development. Someone is paying attention. It is about them. It is about English. It is alive! It is now! It is fun! It is motivating! Most English language learners would expect correction to be a big part of their English lessons. What would be the point of English lessons with no correction? What reason would a learner have to practise or even try? What would they actually learn if they did try? You absolutely must include an element of correction in (or after) any free practice task. Perhaps it is simply to give positive feedback. If a teacher is not correcting, are they teaching? However, as with all things in life, there has to be balance! Correcting every error is a temptation teachers must resist. We want our learners to be excellent and accurate. Accuracy is important. Almost any mistake or error needs to be addressed at some point during a learner’s language development. The problem is, if we correct every error, we discourage students from trying. It can also interrupt the flow of English lessons. Take free practice speaking tasks for example. Overcorrection can interrupt the flow of the speaker and the exercise. It is usually better to monitor the group from a distance whilst closely listening for mistakes and errors. At the end of the task errors can be put on the board. The class can correct them together. Some learners are anxious about making mistakes to begin with. Overcorrection could really shut them down in their English lessons. They would be reluctant to communicate. Even reasonably confident and relaxed learners will lose some fluency if they concentrate too much on accuracy. Overcorrection is likely to create feelings of inadequacy among the learners. Worse still, they may even sense negative judgement from their teacher. Obviously, all this could have a very negative impact on the rapport, the fun and the motivation of the class. 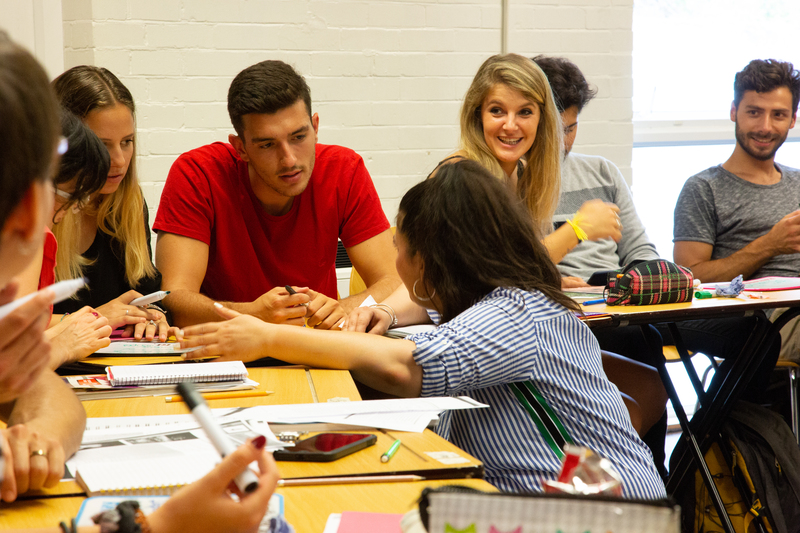 Maintaining a positive atmosphere in an English lesson is the key to learning English faster. The skill of the TEFL teacher is to know which errors need to be corrected now, and which ones can be left for later. It depends of the type of learner, their receptiveness to correction, their attitude, their level of English, their first language interference etc. It also depends on the complexity of the language point the error relates to. Perhaps the teacher should save correcting a complex language point for another lesson, a “revision day” for example. Knowing when and what to correct is one of the more complex areas of teaching. It comes with experience. Obviously, a detailed knowledge of language acquisition is a helpful tool. This enables the teacher to understand how and why mistakes are being made. A teacher should normally correct mistakes which relate to an earlier stage of the learner’s developmental language acquisition. Also, they should usually correct any mistakes relating to the language point of the lesson. They should probably leave mistakes that relate to the learner’s future development to when we arrive at that language point in English lessons in the future. As always, there are sure to be many exceptions to these rules.